I’m busy working hard at some new ideas for painting but wanted to take a moment just to let you know what I’ve been showing recently. At the Martha Jefferson Hospital Outpatient Care Center Show – now through June has 9 paintings. 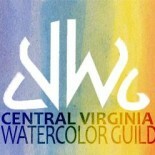 At the Louisa Arts Center – May 27– July 27. Cville Coffee Aug 1–Aug 31 Paintings to be hung as yet unknown. At Virginia Mennonite Retirement Juried Show in Harrisonburg my painting “Just the Two of Us” was accepted. The show runs from May 29–June 30. The opening reception is June 5 2:00-4:00. You are invited. This entry was posted on Jun 1, 2016 by miatomaine in Uncategorized.